From its early days, the Irish Society for Autism has valued the importance of cooperation and cross-border collaboration, as a tool to continuously improve the quality of life for people with Autism and their families. The sharing of ideas, resources, and best practice has been ever present throughout our work, whether it be with our closest neighbours or with organisations from across the world. The Society has been instrumental in the development of international Autism organisations, and has taken part in numerous projects with partners from various countries. In 1980, several associations of parents of people with Autism from various countries joined together to hold the first ‘European Conference of Associations of Parents’ in Ghent, bringing together over 400 participants. The aim was to encourage the exchange of knowledge among researchers, medical doctors and other professionals active in the field of Autism. In 1983, following the first congress, the associations involved decided to create a permanent umbrella association named Autism-Europe. Its main objectives are to advance the rights of people with Autism and to help them improve their quality of life. Autism-Europe advocates towards European decision-makers to foster a better policy response to the needs of autistic people. Autism-Europe also strives for more awareness and understanding of Autism in society. The Irish Society for Autism is a founding member of Autism-Europe, and our Executive Director Dr. Pat Matthews served as its first Vice President. 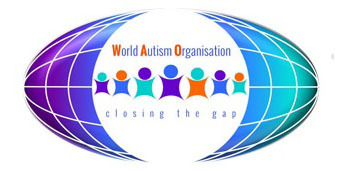 In 1998 the World Autism Organisation (WAO) was established in response to growing requests from organisations around the world to create an international network which could provide a global response to the needs of people with Autism & their families. It was supported by Autism-Europe. It was formed with the main objective of improving the quality of life of people with Autism and their families, the WAO advocates for quality services for all people with an ASD, encourages global sharing of resources, collaboration and active partnerships, as well as promoting research across the globe. The Irish Society for Autism is a founding member of the World Autism Organisation (WAO), with Executive Director Dr. Pat Matthews being the Organisation’s first President. Since its inception, The Irish Society for Autism has organised and participated at a number of the WAO’s conferences and events. In 2006, The Irish Society for Autism joined with Autism Cymru (Wales’ National Charity for Autism), Autism Northern Ireland, and Scottish Autism to form the Celtic Nations Autism Partnership, where agreement to co-operate, communicate, and work together to advance the interests of people with Autism was paramount. The principal aims of CNAP included the sharing of training, information, and skills from one country to another, joint campaigning in relevant national, European, and worldwide issues, joint research opportunities, the sharing of issues, and mutual support. Continuing in the same vein of cooperation, the Celtic Nations Autism Partnership then joined with the Autism Society of America in 2007 to form the North Atlantic Alliance to identify common interests, exchange opportunities and share & discuss policy issues relating to Autism. In 2010, The Irish Society for Autism partnered with Autism Cymru (Wales’ National Charity for Autism), to launch an EU-funded initiative called Deis-Cyfle – which means Opportunity in both Irish and Welsh. The initiative comprised of the development of a three day training package and self-evaluation tool for those in the secondary school community. The aim of the project was to increase employability and provide greater opportunities for school leavers with an Autism Spectrum Disorder, enabling them to achieve their potential in the world of employment, leisure and education.